OLP will be reviewing The Golden Horseshoe soon. In the meantime please submit your own reviews and ratings! One of our favorite places to sit down, cool off, and enjoy a really good show. Everyone seems to enjoy the counter service food. the lines can be long at times, but get there early, grab a table (we prefer upstairs) and get ready for some fun. 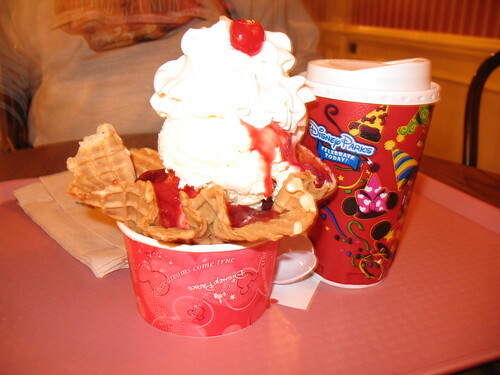 Since the strawberry parfait has gone, we did enjoy a HUGE strawberry sundae.